It has taken some time for the Zoomer (custom Honda Ruckus) scene in Japan to make its way mainstream here in the USA, but it’s safe to say it’s arrived. Where one used to be limited to just what one could find in stock in the Battle Scooter catalog, now even ScooterWorks USA carries custom Ruckus parts and upgrades. However it’s not just the big name scooter accessory retailers who are pushing this movement forward. Smaller, independent manufacturers are using the Ruckus as their canvas to let owners make their little Honda into something unique. One such company is MNNTHBX, founded by Greg Hatcher in the Deals Gap area. For the unfamiliar, that’s Tail of the Dragon territory and a great place to do anything road-related with a great deal of enthusiasm. Motorcycle-USA.com recently did a profile on Greg and MNNTHBX, whose custom Ruckus offerings have grown to include the Honda Grom as well. 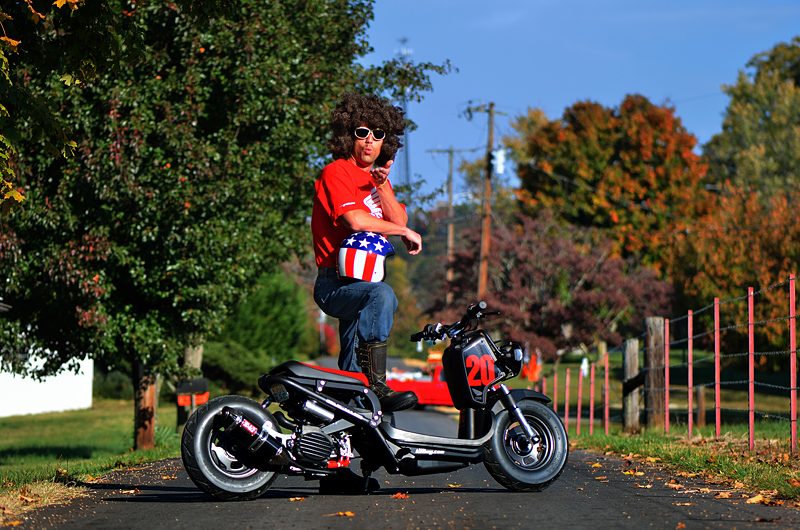 Hatcher is the inadvertent founder, owner, marketer, customer service representative and creative designer behind MNNTHBX, manufacturer of American-made aftermarket parts for the Honda Ruckus and Grom. It’s a simple operation and Hatcher does just about everything besides the actual machine work. 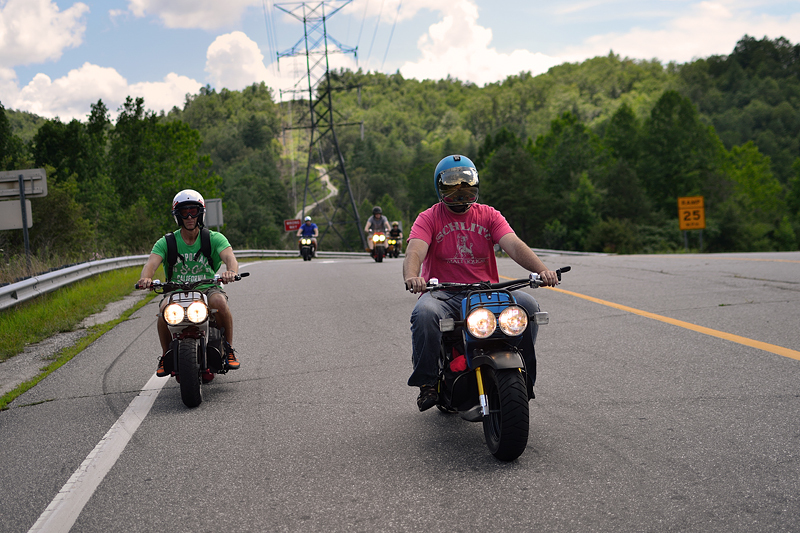 He hands that part off to his long-time associates and riding buddies, twin brothers in fact, that own and operate a machine shop in his region near Deal’s Gap. The scooter that caused such concern for Hatcher’s sanity was a Ruckus, purchased on a whim to use for easy jaunts around town. Even if he had known, it probably wouldn’t have mattered much anyway. Hatcher has long been into tinkering with machines and had some experience in the customization world. He and his machine shop friends had done custom work on their freestyle stand-up Jet-Skis around 15 years prior, projects that eventually led to some sales and modest aspirations. Definitely go check out the full profile, and head over to MNNTHBX’s website to see the rest of what they’re up to. We’re always inspired when someone takes their two-wheel passions and turns them into something that so many other people can enjoy. We also applaud Greg’s enthusiasm for the Grom. Yeah, we know it’s a small motorcycle, but we don’t car. We’re going to consider it an honorary scooter. Such is our editorial prerogative. Built by scooter tuning and fabrication company Composimo, the Cafe Risque is something that if you described it to me, I wouldn’t believe it was possible. How do you put cafe racer style into a 50cc scooter and have it look this great?